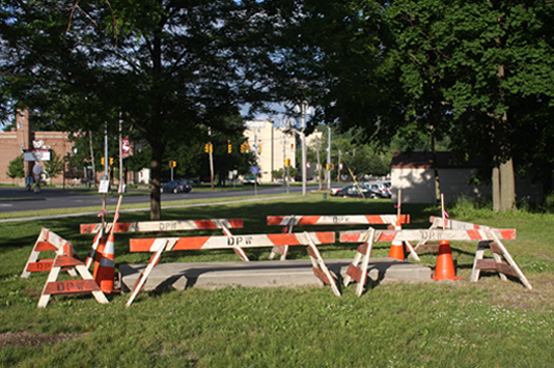 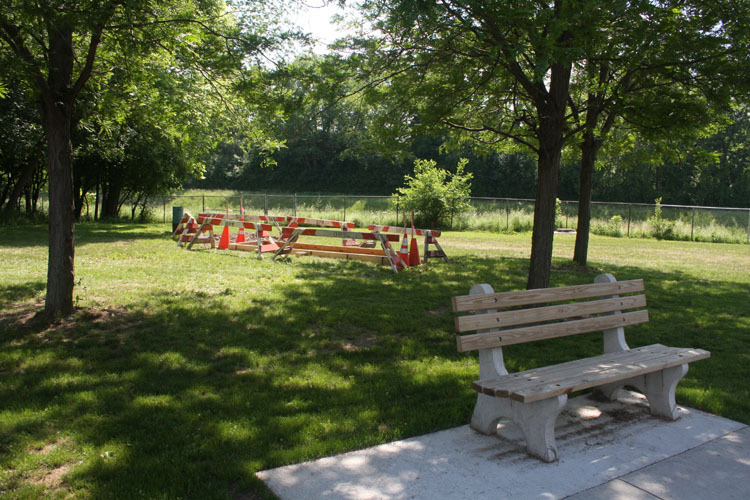 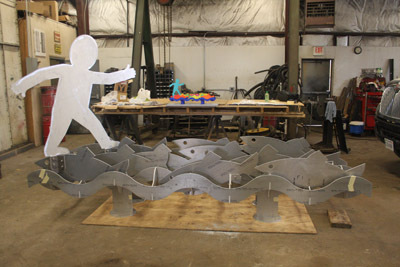 The Valley neighborhood of Syracuse, NY is partnering with The Syracuse Public Art Commission, the City of Syracuse Department of Parks, Recreation and Youth Programs and the Onondaga Nation to create a new public sculpture beside the Onondaga Creek to celebrate the abundance of it's past and their restoration intentions for its future. 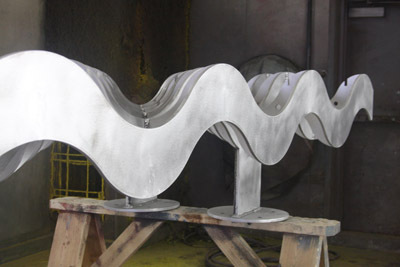 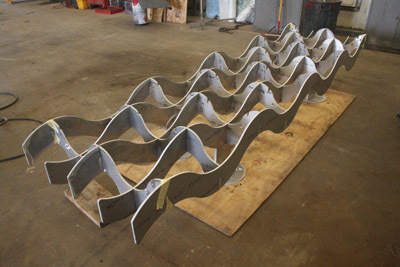 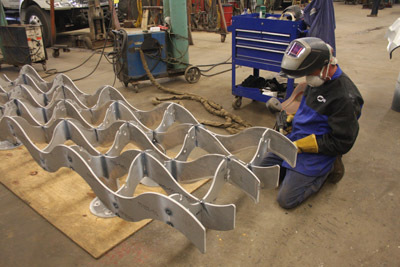 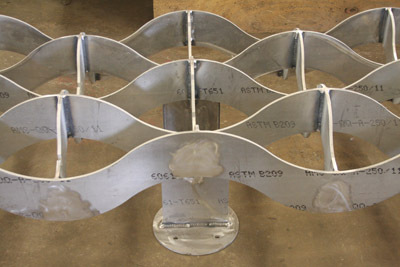 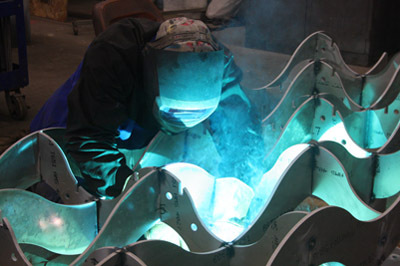 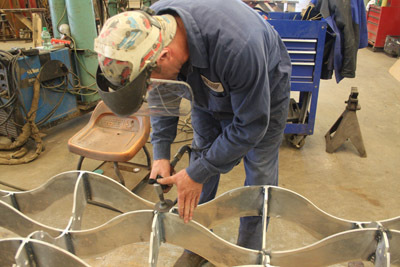 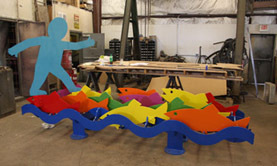 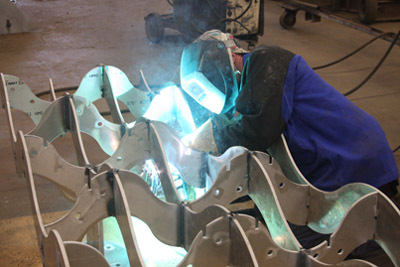 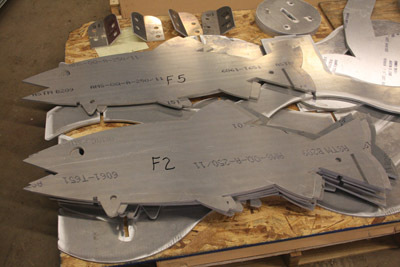 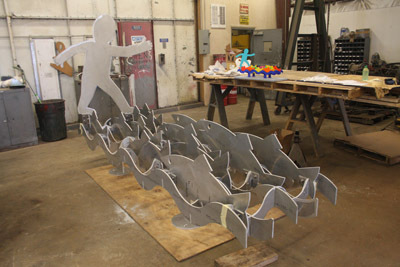 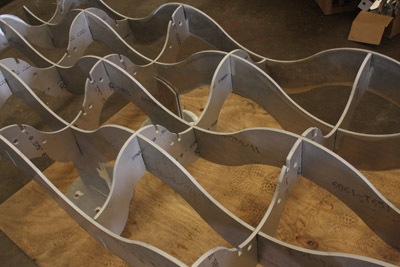 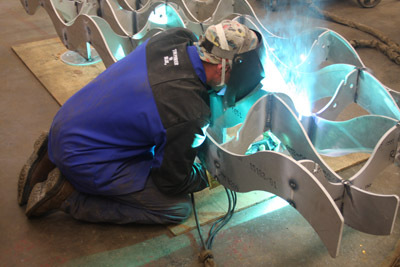 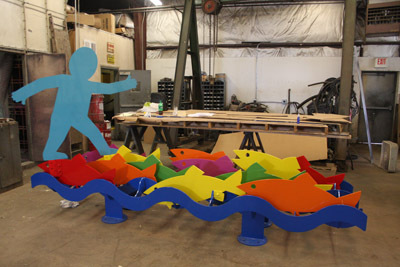 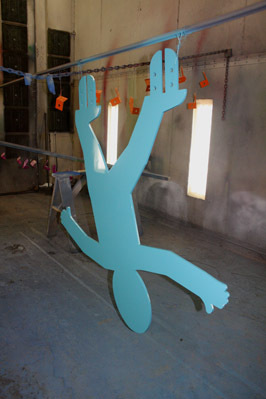 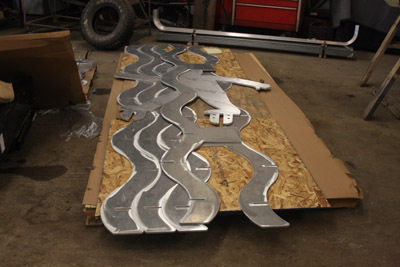 The sculpture is assembled at TRS in East Syracuse - checking to make sure everything fits as it should. 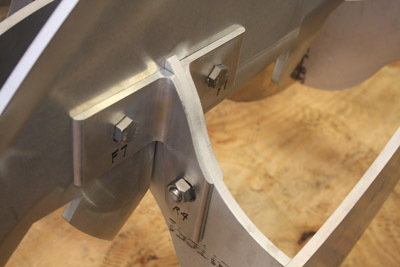 Some of the angles need some adjustments. 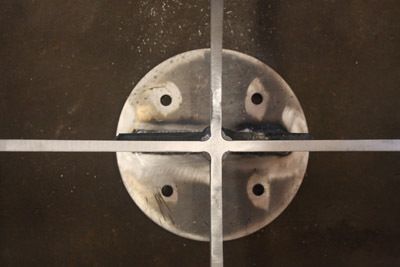 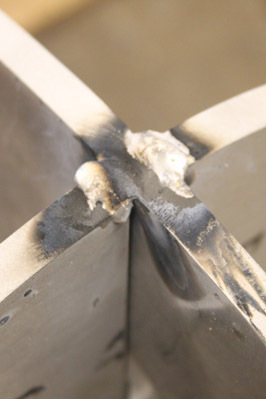 One of the bolt holes was missing and was quickly drilled. 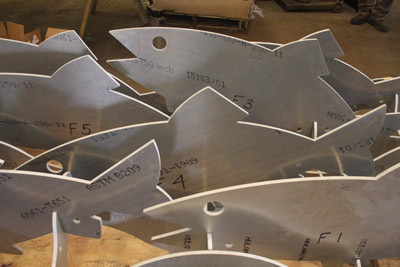 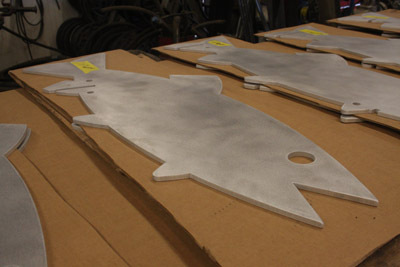 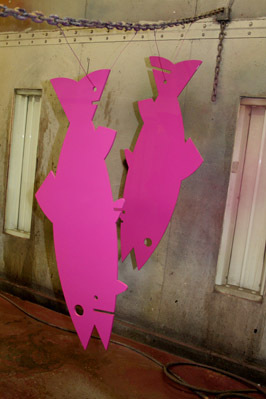 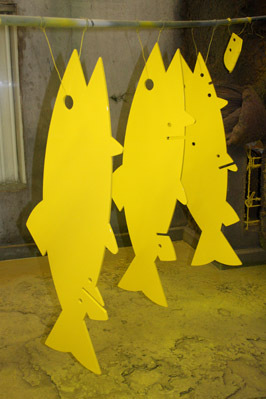 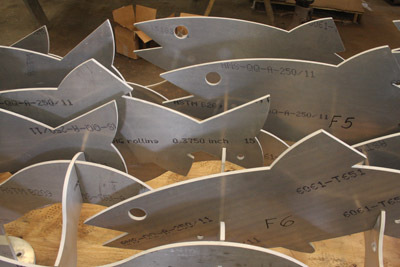 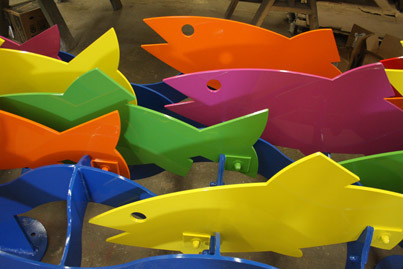 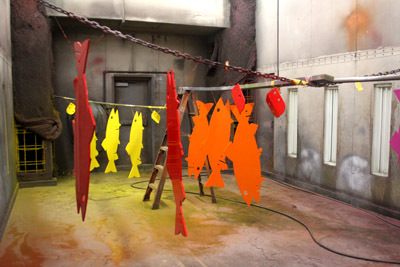 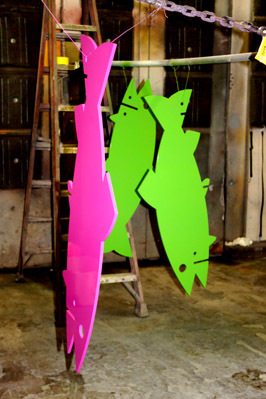 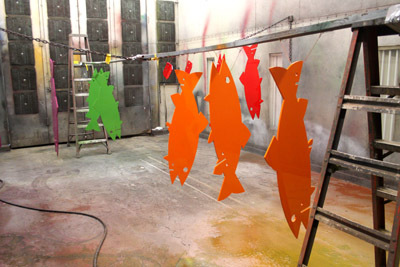 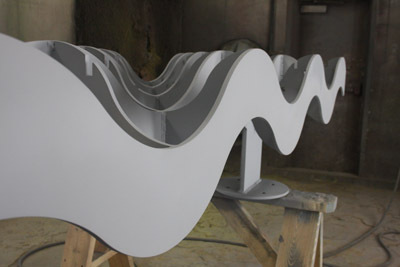 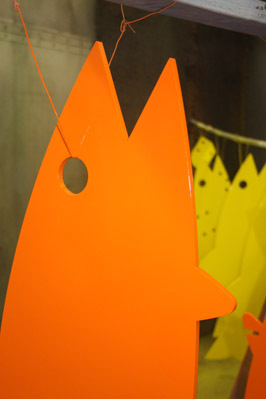 The fish have been sanded ready for paint prep. 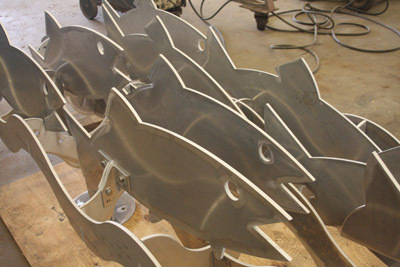 Degreasing and priming are next. 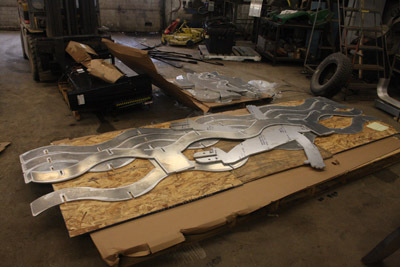 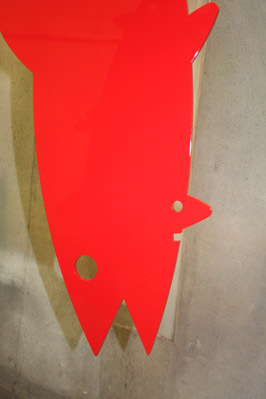 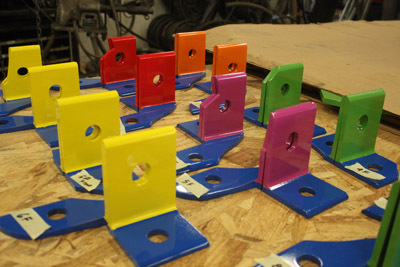 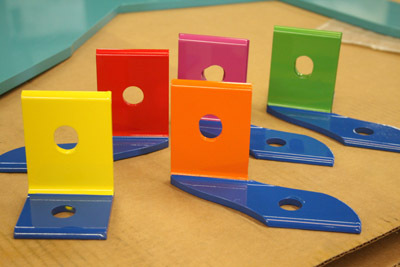 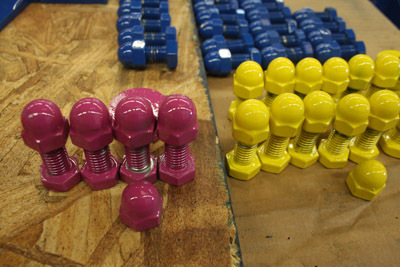 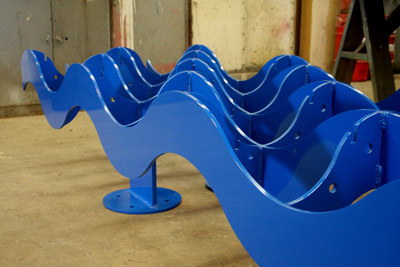 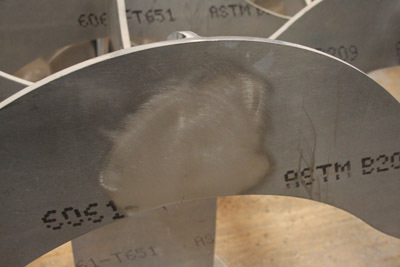 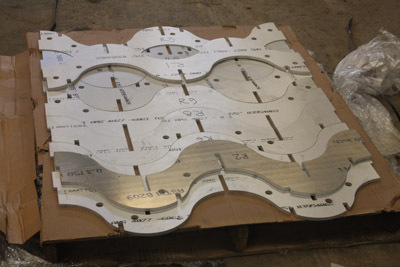 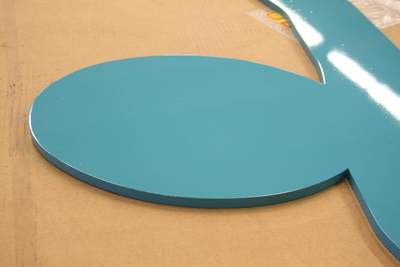 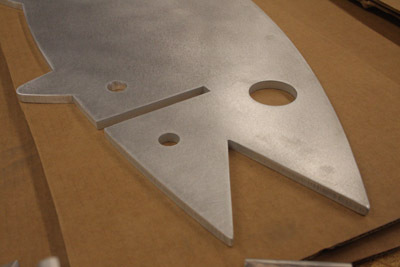 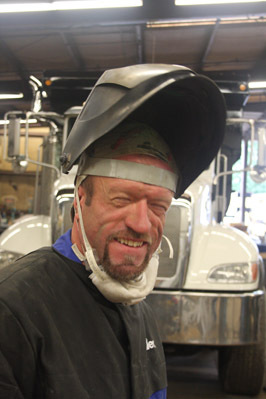 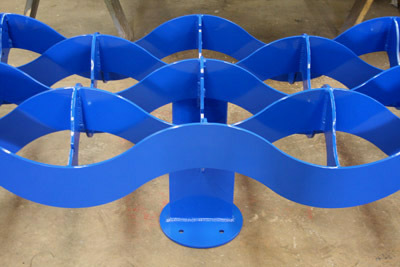 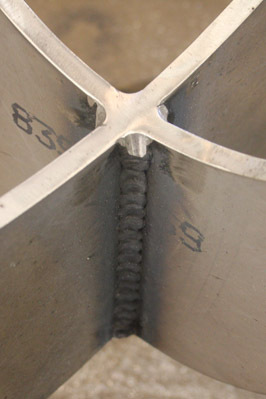 shipped to TRS in East Syracuse, the company that is doing the welding and painting. 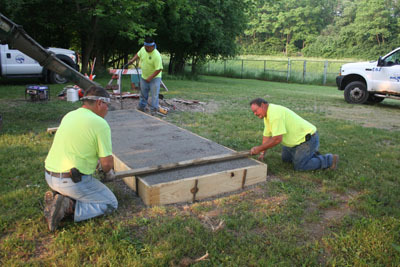 thanks to the crew from the Skilled Trades Division of the City of Syracuse Department of Public Works. 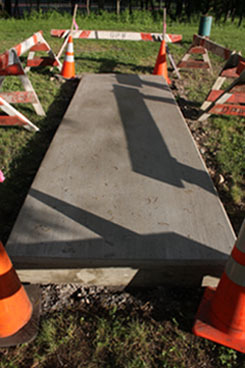 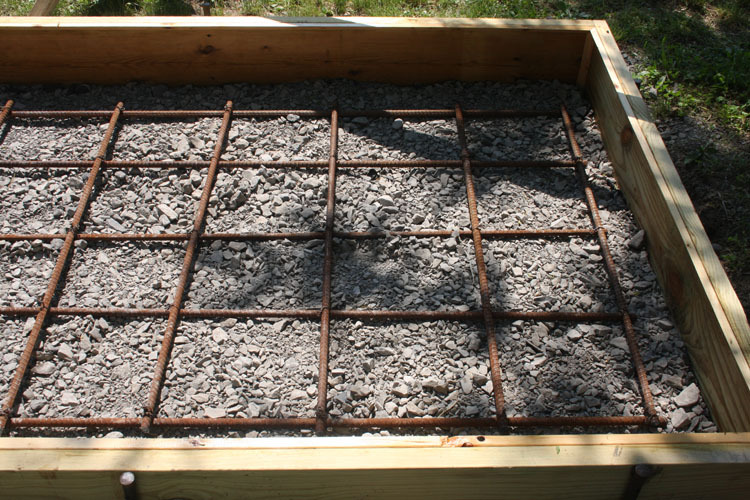 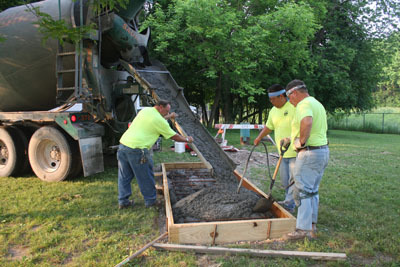 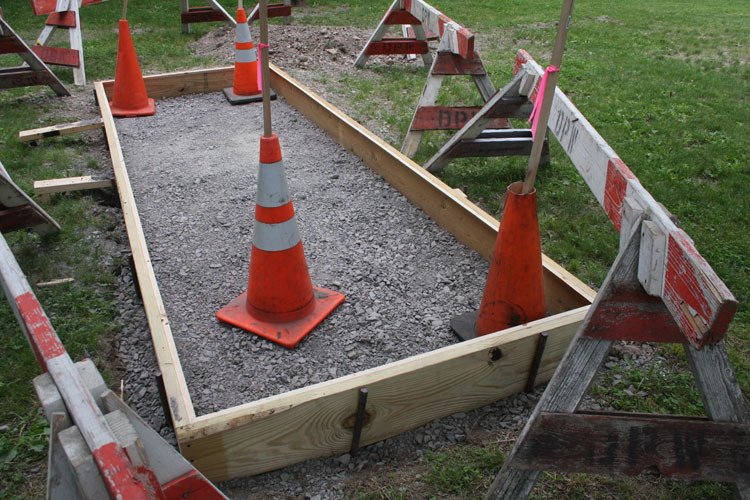 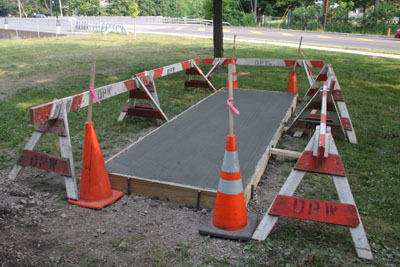 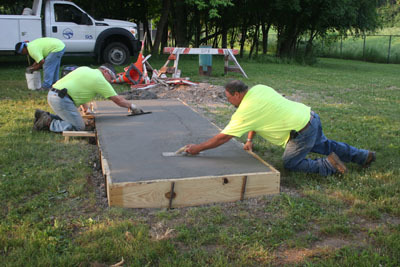 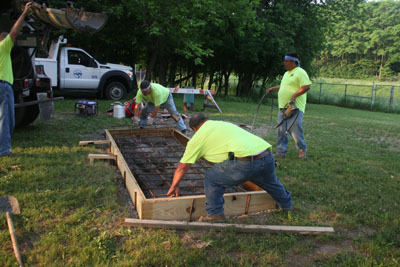 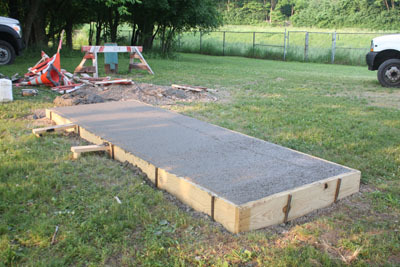 The concrete base will be set on a bed of gravel. 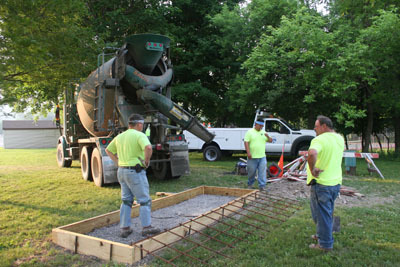 Reinforcing steel is in place for concrete pour.